Alibaba is eyeing the Silk Road European routes as it plans to expand its business in the continent. The Chinese online shopping giant is considering locations alongside the rail links, particularly that of China-U.K., for its warehouses. The company has reportedly contacted property developers across Europe that have facilities located near the new train links which track the historic Silk Road route. Early this year, the first China-U.K. train was launched. It traveled 7,456 miles in 16 days, moving across China, Kazakhstan, Russia, Belarus, Poland, Germany, Belgium and France prior to crossing under the Channel and finally reaching Barking, east of London. 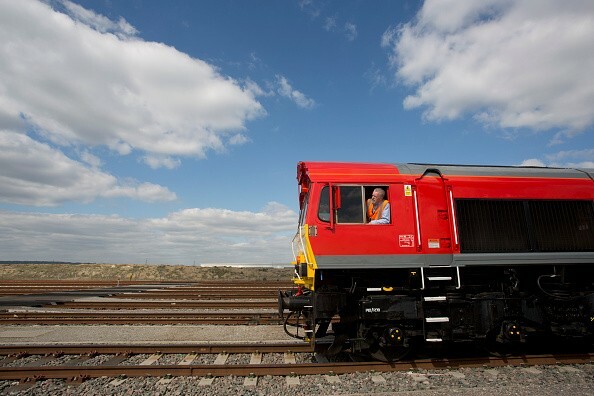 The first Silk Road freight train from Britain to China started on its journey last week. The authorities are hoping that the launch will spur trade links. Transporting goods to China by train is cheaper than by air and is also about twice faster than by boat. Alibaba hopes to benefit from the new rail links by locating its stock and delivery centers along the route, aiming to bring its products faster into Europe. Even though it is the leading e-commerce company in China, Alibaba has not yet made significant developments in Europe or posed a threat to Amazon, the dominant Western e-commerce firm. The Chinese retailer has started building its presence in Europe as early as 2015 when it announced the opening of its London offices which would function as its European headquarters. Late last year, Alibaba quietly opened its first warehouse in the United Kingdom, located in Dunstable, and has also searched for warehouse locations in other countries in Europe. The Bulgarian government said in January that it had met Alibaba representatives to plan about creating a logistics center to deliver the needs of the eastern part of Europe. Currently, Alibaba has quietly been in search for similar hubs in countries along the train route. The said locations would be advantageous to the firm since transporting Chinese goods could also open opportunities for serving deals with Western retail companies seeking to move into China. Mountain Warehouse, Sainsbury’s and Marks & Spencer are among the British brands which utilized Alibaba’s online marketplace Tmall in launching their products in China, which provided the companies with an instant platform in a country where the middle class continues to grow.